What Is Psychotherapy? What Type of Conditions Are Covered? Psychotherapy is a general term. It applies to a range of mental health concerns that individuals have. Mental health itself is an exhaustive space with many types of conditions ranging from mild to quite severe. Those who have any type of mental health concern should seek out the help of a psychiatrist or a psychologist, depending on the type of care they need. This type of help should never been seen as a negative experience. Just like becoming ill and visiting a doctor, everyone can benefit from reaching out for help for mental health concerns as well. What Can Psychotherapy Help You With? There are various reasons to turn to psychotherapy. Individuals who seek out this type of help often are able to learn about and talk about their feelings, moods, and thoughts. It is also a time to discuss your behaviors including the types of results that occur as the result of your behavior. The goal is often to look for patterns which can help you, as an individual, to make better decisions for your future and help you to make decisions that allow you to further reach your goals in life. Often, this type of help can also help you learn how to take control over your life and the challenges you face. Everyone faces challenges throughout their lives and many times, it is possible to develop more complex symptoms and concerns. The goal of psychotherapy is to provide an opportunity for individuals to gain the skills to cope with the challenges they face, with an underlying goal of improving their quality of life. There are various types of psychotherapy available. Each individual is considered based on his or her symptoms as well as the overall struggles they have. What’s important is that individuals have their own individual approach designed to address their needs. Individuals each suffer from a variety of situations. With the right type of help, improving quality of life is possible. With talk therapy, psychosocial therapy, counseling or other services, it is possible to achieve this for many people suffering from a wide range of mental health complications. 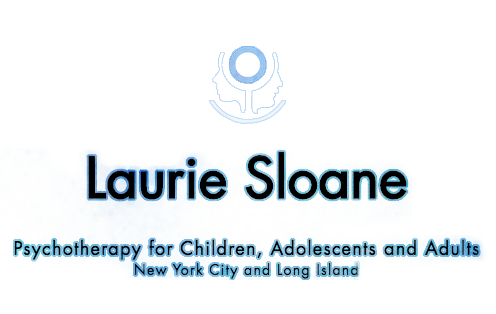 When you schedule a consultation with our psychotherapist in New York, you’ll get the one-on-one help you need to improve your own concerns. No struggle is minor and most types of concerns are treatable with the right type of psychotherapy. ← Therapist for Body Issues: When Do You Need Help?